Remembering the rescuers was included in Yad Vashem’s mission from the very beginning. 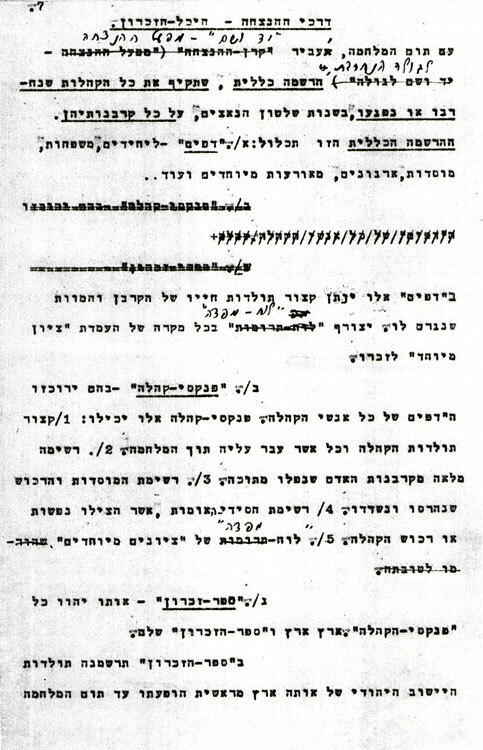 Mordechai Shenhabi, who drew the first plans for the commemoration of the murdered Jews of Europe, used the term Khassidei Umot HaOlam [the Righteous Among the Nations] to describe the non-Jewish rescuers of Jews during the Holocaust, and proposed the creation of “a list of Righteous Among the Nations who saved souls or belongings of communities" as one of Yad Vashem's tasks in the detailed program that he presented to the Yishuv leadership in 1945. 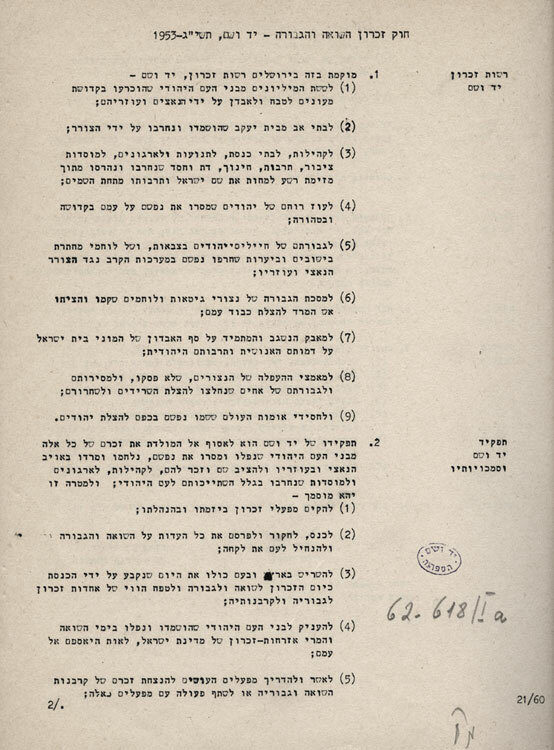 When, in 1953, Yad Vashem was formally created by a law of the Knesset, paying tribute to “the Righteous Among the Nations who risked themselves to save Jews" during the Holocaust was included in the Remembrance Authority’s mission. 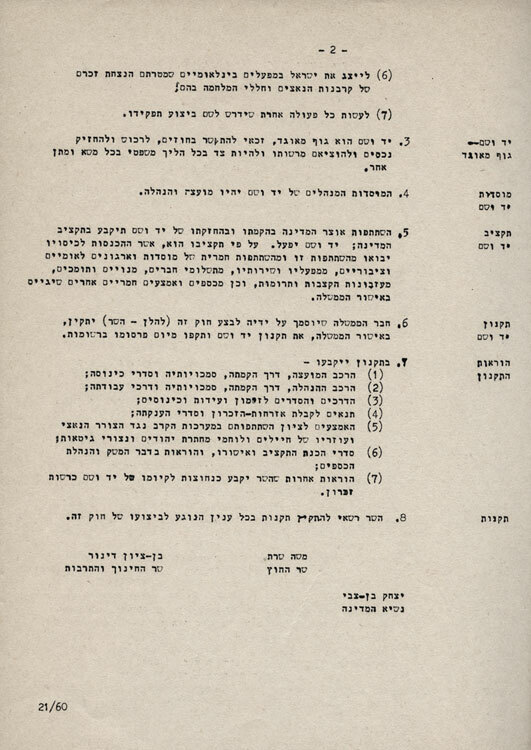 The Yad Vashem Law authorizes Yad Vashem "to confer honorary citizenship of the State of Israel upon the Righteous Among the Nations, and commemorative citizenship, if they have passed away, in recognition of their actions". 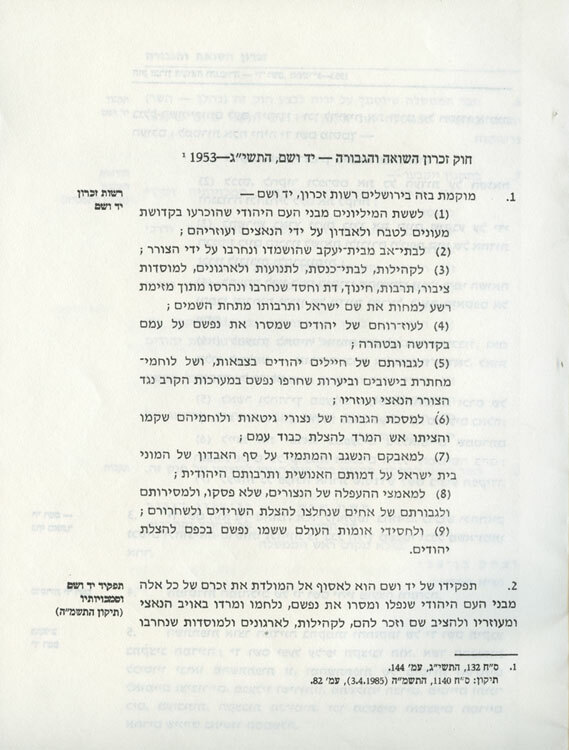 The same law provided for commemorative citizenship to be conferred on the Jews murdered in the Holocaust. The Righteous, who had been willing to share the victims' fate, were thereby given a special status by the State of Israel, and were to be honored in the same way.